Two days ago, Raytheon released a trailer for their new M60 tank Service Life Extension Program (SLEP). The new features of the M60 after SLEP are an inncreased firing range and accuracy at only one third of the original the costs aswell as an uprated engine, which delivers 950 horsepower instead of the earlier 750 hp. Electric gun and turret drives replace the previous hydraulic versions, which were slower and a further explosion hazard aside of the ammunition.The old mechanical ballistic computer is replaced by a modern digital fire control system, which also features a digital LCD displays. 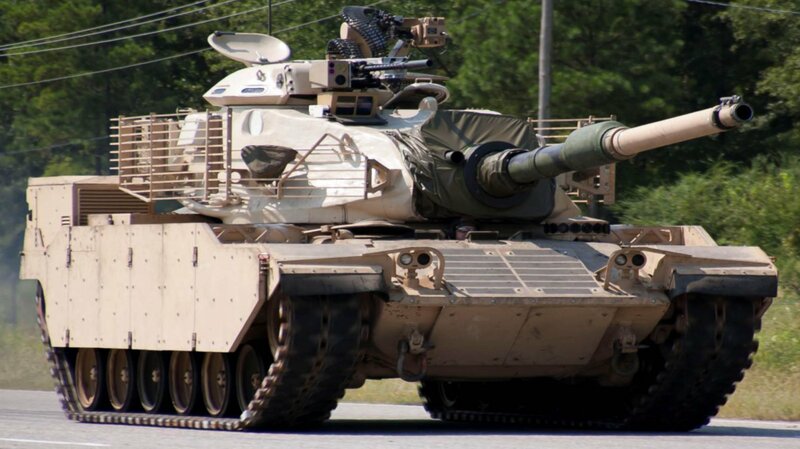 Furthermore the 105 mm M68 rifled tank gun is replaced by the 120 mm M256 smoothbore gun of the M1A1 Abrams tank. The video footage from the prototype shows a number of further changes, which have not been mentioned in the Raytheon video. This might be the result of cooperation with further companies for this prototype. It is fitted with additional slat armor at the front and sides of the turret and very thin passive armor on the hull. An APU and an air-conditioning system have been fitted in large sponson boxes at the rear of the vehicle. Given that these features have not been mentioned, Raytheon's SLEP upgrade might be limited only to their contribution of the upgrade. Photographs of the upgraded prototype have been floating around on the internet since at least 2012. Some Russian sources suggest that Textron might be involved into the development of the prototype. The Turkish company StandartBio included photographs of said tank in one presentation, it seems plausible that StandartBio might have been involved into the upgrade or was at least a partner for pitching this upgrade to Turkey. However this prototype included a number of further changes - it was probably the same prototype from Raytheon's footage, but at a different time of development. At the stage of StandartBio's presentation, the tank was fitted with an additional remote weapon station armed with a LW-25 lightweight chaingun from Aliant Techsystems (ATK). This gun is chambered in the 25 x 59 mm calibre developed for low-recoil and possible use in aircraft. It has been claimed that the tank was also fitted with an even more powerful 1,200 hp engine. Raytheon's SLEP upgrade for the M60 tank - regardless wether we take the additional features not mentioned by Raytheon into account or not - is not really a good or competitive upgrade. While the market for M60 modernization is very limited, because the tank is strictly operated by poor countries or has been relegated to secondary tasks, other companies have come up with more advanced upgrade solutions. Israel has already developed three versions of their Sabra tank upgrade, which features thicker and more advanced armor, a comparable fire control systems and a 120 mm smoothbore gun. The Sabra Mk. 1 still uses the old AVDS engine, but uprated to 908 horsepowers - this is quite comparable to SLEP. The Mk. 2 and the Mk. 3 however have replaced the AVDS engine with a MT881 engine from German manufacturer MTU; this offers a 1,000 hp output, better acceleration and lower fuel consumption in a smaller package. A new transmission from German Renk further increases the mobility together with an updated drivetrain. The Sabra Mk. 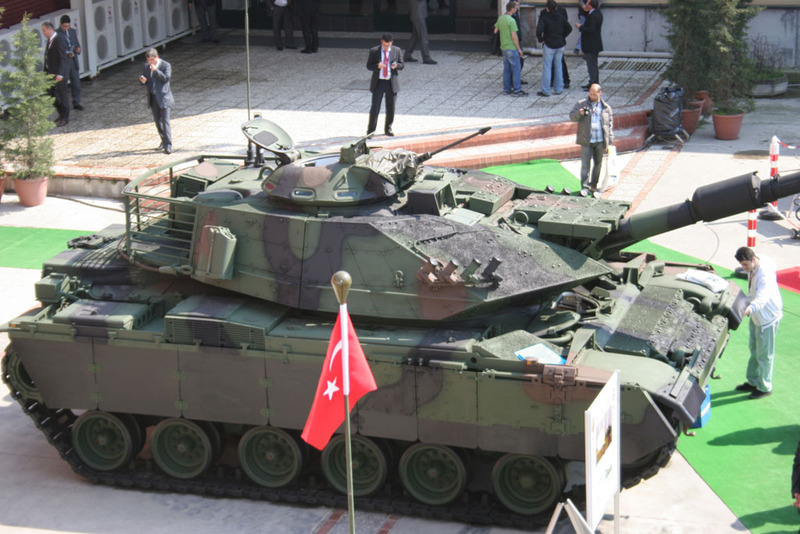 2 has been adopted in a special version by the Turkish military as the M60T tank. The Jordanian KADDB has developed together with RUAG of Switzerland an even more advanced upgrade. The so-called M60 Phoenix also retains the AVDS, but this has been upgrated by General Dynamics to 950 hp output. The Phoenix also has been fitted with a more modern suspension and transmission, a 120 mm RUAG Compact Tank Gun (with increased barrel length compared to the M256) and huge amounts of new composite armor. Ontop of the composite armor, the M60 Phoenix however utilizes SidePro-CE explosive reactive amror, which provides protection against shaped charge warheads (including tandem warhead configurations) and some protection against kinetic energy ammunitions. The LEDS active hardkill protection system has been fitted to the later prototypes, which is able to destroy an incoming RPG or ATGM by firing a small unguided Mongoose missile from one of the two six-round launchers at it. In general however the M60 tank is not well suited for being upgraded to modern standards. It is extremely tall, resulting in a larger frontal profile and a target easier to spot and to hit. Hence in comparison with a smaller tank, more armor is required to reach a required level of protection. A further disadvantage of the M60 design is it's heavy weight resulting from the relatively thick base armor. While this might sound counter-intuitive in the first moment, the problem is related to the low amount of protection offered by steel armor compared to modern composite armor types: modern composite armor can provide more than twice as much protection against KE and more than 3 times as much protection against HEAT warheads than steel armor of the same weight - this means that instead of having a ten inch (254 milimetres) thick steel turret, a thinner 3-4 inch turret (76 - 102 mm) turret could mount an additional 6-7 inch steel weight equivalent composite armor module without exceeding the weight of the ten inch steel turret. In case of the M60 and most tanks of the same generation, the situtation is even worse due to utilizing cast steel armor for the turret instead of using rolled steel plates welded together. Cast steel offers up to 20% less protection than rolled steel, depending on the exact composition and treatment. In case of the M60, the cast armor was supposedly very soft at about 220-240 on the Brinell scale. In 1978 the steel composition was altered, probably to provide hardness comparable to the British Chieftain or Soviet T-series tanks (260-280 BHN). Lastly, the upgrades are quite lackluster in some aspects: more modern tracks are not included, no upgrade provides the commander with an independent (thermal) optic with FCS integration, and the power-to-weight ratio is poor on all models.